Ziva has always admired the boys' pet beds when she comes to visit, so I decided to make her one for her birthday. It's a pretty basic design of my own creation. 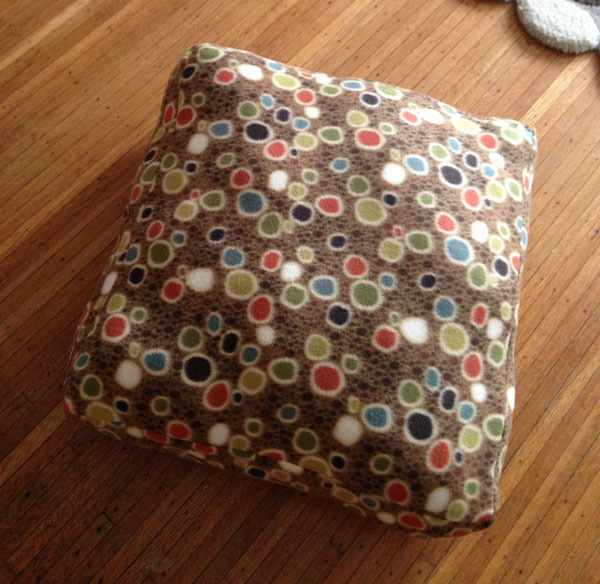 Easy and quick to sew. Fleece is so easy to work with. And they have such nice patterns in fleece these days. I used the catch-all Peggy made me and I don't know how I got along without it. 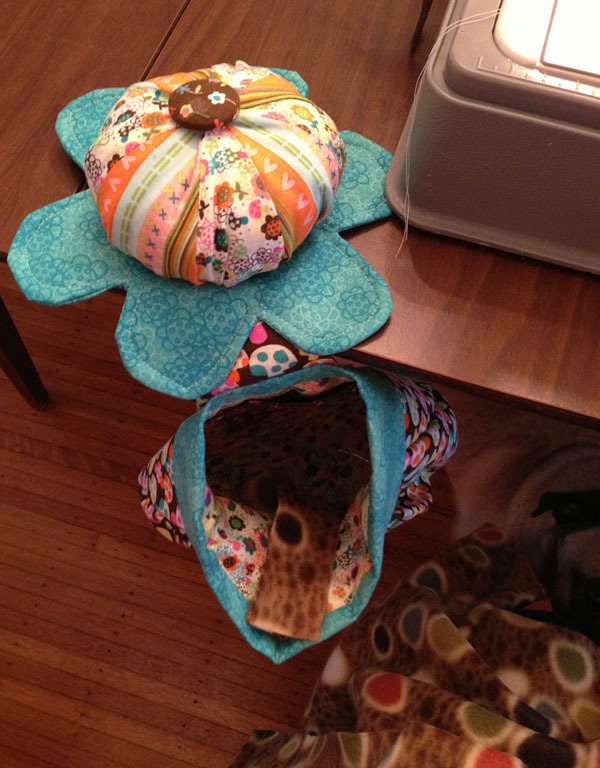 It used to be after a sewing project, the table and floor would be covered with scraps and snipped threads. This keeps it all nice and tidy. 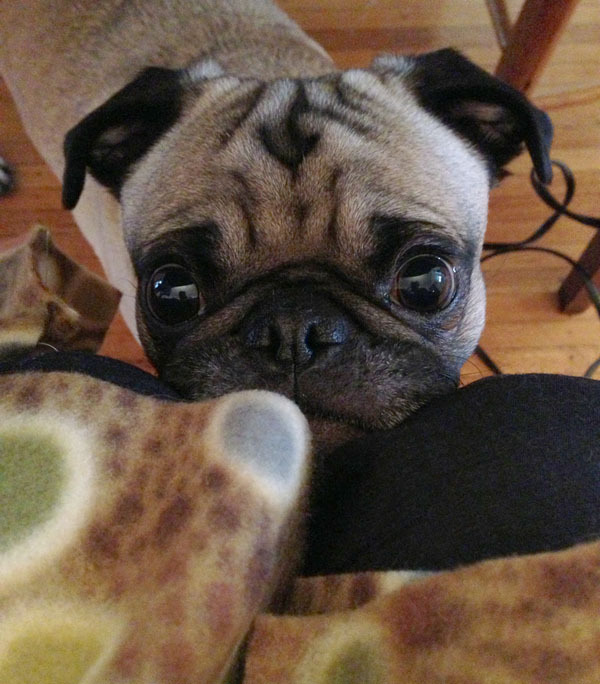 It's hard to sew with someone staring at you the entire time. See how he rests his chin on your knee for extra impact? 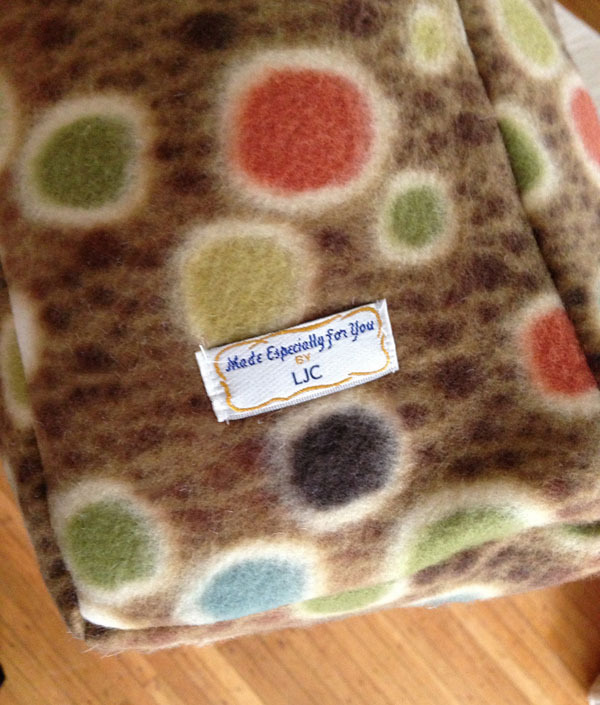 I remembered I had "Made especially for you by LJC" tags and added one of those to the dog bed. I think Ziva liked it! She certainly knew it was for her! I love the tag!! What do you use for stuffing? 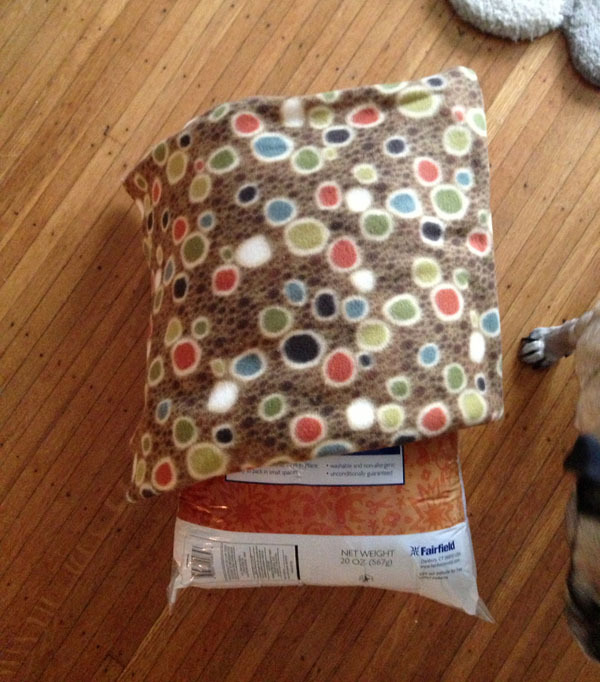 When I made the beds for our boys, I bought a foam cushion roughly the size of one lazy pug stretched out. It's nice, but I worry it's not as fluffy as they would like. I used some sort of "green" fiber fill I found at Michaels. Might have been made of bamboo? They boys have had theirs almost a year now and they are still pretty fluffy. They can go in the washer and drier.... one of them boked on one and I had to wash it. That fluffed it back up. Such a cutie pie! 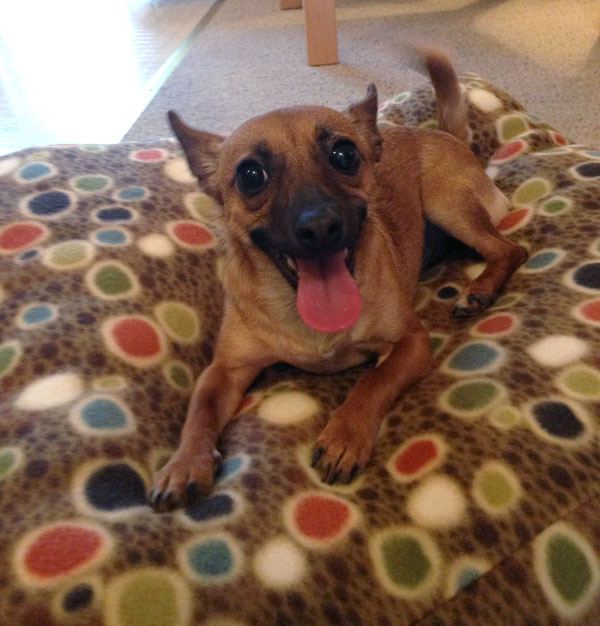 She looks really happy with her bed! 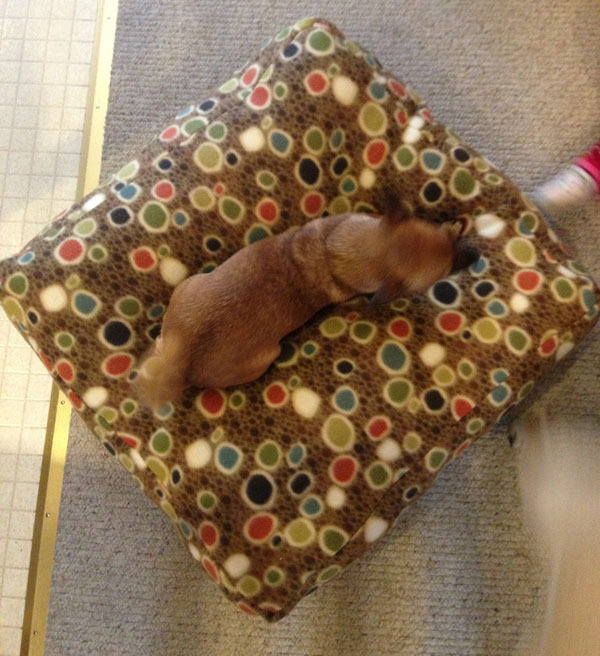 Pet beds come in all shapes and sizes and a wide range of inward parts and fills. You can ruin your canine with quality materials, upholstery fabrics and orthopedic qualities.